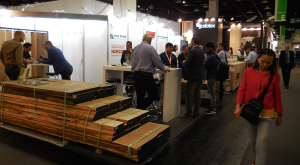 In recent years, we have seen deep changes in the European wood-based panel market. Such transformation has also affected the sector of primary and secondary woodworking machinery. In the particleboard and mdf sectors, key raw materials for the furniture industry, and in the business of osb panels, which has developed in traditional packaging applications as well as in constructions, the transformation of production plants has almost been finalized with the replacement of single and multiple daylight presses with next-generation continuous presses. Continuous presses were introduced over thirty years ago and have now achieved very high technological standards, offering high productivity beyond 2,00/2,500 cubic meters per day of particleboard. More than 90 percent of particleboard, Mdf and Osb in Europe is made with continuous presses. This solution offer high production capacity combined with better and more consistent product quality, as well as high flexibility in production, especially for the rapid change of thickness and format. Another major innovation in the particleboard and OSB industry is the so-called “indirect” belt dryers, which operate at much lower temperature than conventional drum dryers, thus ensuring very low emissions that do not require special anti-pollution systems. Also in this case, we can predict a partial but relentless replacement of existing drum dryers. A brief mention goes to the North American market, which is recovering fast after several years of weak trend, both in particleboard and in Mdf, as a result of massive investments from Europe and South America. Looking at European market figures, in the past three years we have seen a slight increase in total panel production (source Epf – EU28+Efta), for instance in 2015 it was 54.6 million cu.m., in 2016 55.6 million cu.m. and in 2017 we can expect a further increase beyond 57 million cu.m. The total volume includes particleboard (55 percent), Mdf panels (22 percent), Osb panels (9.2 percent), other wet fiberboard and insulating panels (9 percent) and finally plywood (4.8 percent). It is worth reminding that the biggest increase of production capacity in recent years was achieved in countries that are considered part of Europe, such as Russia and especially Turkey, whose Mdf production capacity has expanded to almost 25 percent of the entire European capacity. 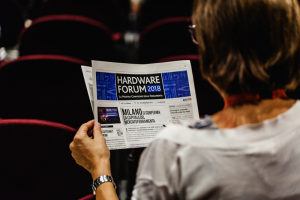 These volumes will be mainly absorbed by the furniture market, where we are also seeing strong recovery in the segment of secondary processing machines, including the more and more important category of panel finishing equipment, both for paper decors and for paint or lacquer coatings. To analyze the evolution of the panel market, we cannot overlook raw materials, which are characterized by a massive use of recycled wood, especially in the Italian market, where more than 96 percent of particleboard is made using this material. In the Mdf sector, recycled wood is marginal, but it keeps growing. 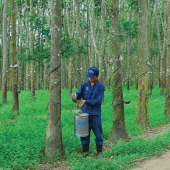 Similarly, in the field of resin, research is increasingly focused on reducing or eliminating formaldehyde, also to comply with future European standards. Research in this field is intensifying and accelerating, as big chemical groups are increasing their focus on industry developments. 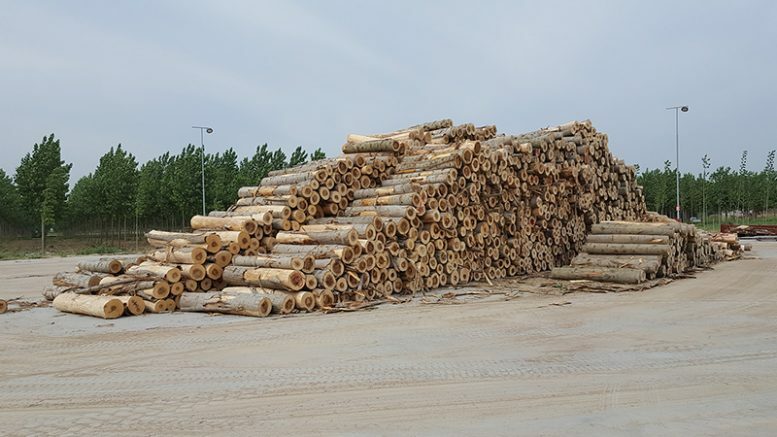 In the OSB area, European production has increased significantly in recent years, and the first big news from a technological standpoint is the launch of the world’s first plant using poplar as raw material and a continuous press for panel production. 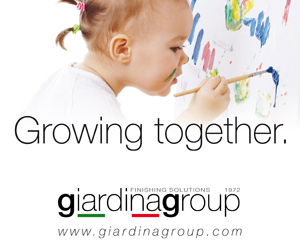 We are referring to Group Bonzano and the I-PAN plant, acronym for Italian Panel. European OSB capacity in 2017 will be approximately 7.8 million cubic meters. Wet fiberboard, a.k.a. Masonite or Hardboard, is constantly decreasing and no new plant has been built for several years. 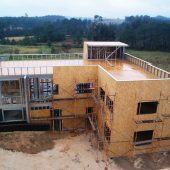 It is also worth noticing that the sector of low-density insulating fiberboard is developing several new applications in constructions, for the insulation of new buildings. Plywood has been going through a period of mergers, to the detriment of small local manufacturers, but has not changed significantly. However, major investments are expected in the coming years to replace peeling lines with machines offering higher productivity, as well as in the sector of dryers to increase energy efficiency and capacity. Italy, France and Spain are the leading plywood producers in Europe, followed by Scandinavian countries, especially Finland and the Baltic countries, all major production hubs. The latter have found a powerful driver in the large availability of raw material from their forests, which has fostered huge investments in pellet production for large industrial heating plants. A common feature for all types of wood-based panels is the constant search to make panels more and more lightweight and resistant. The average specific weight of particleboard has decreased by approximately 22 percent in the past decade, and Mdf panels are following the same trend. A major drive for this action comes from furniture manufacturers, who are always looking for light weight in order to improve energy efficiency and to simplify transportation for end customers. In recent years we have seen a consolidation of panel manufacturers and a wave of mergers and acquisitions. In Europe, the Austrian group Kronospan is constantly expanding both through acquisitions of existing plants in France, Spain and Denmark, and through the construction of new ones, especially in Eastern Europe. The group is the world’s biggest panel producer, with more than 40 factories for particleboard, MDF and OSB, mainly located in Europe, but aslo in North America and Asia. Another major reorganization has involved the German group Pfleiderer, which sold its operations in North America and focused on Germany and Poland with new investments. Another important acquisition in Italy was finalized by the Turkish group Kastamonu, who acquired the Ravenna-based group Trombini from bankrupt and will resume production next year after three years of inactivity. 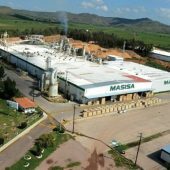 Portugal’s Sonae closed a strategic alliance with the Chilean forest group Arauco, which is expanding massively in North America through big acquisitions, including Flakeboard in 2012, and new panel production plants in the United States. Oddly enough, only few know that an Italian emigrant to Chile in 1948, Mr. Anacleto Angelini from Bondeno near Ferrara, was the most important industrial entrepreneur in that country and the founder/owner of Arauco. In Spain, after several years of stagnation, we are finally seeing a recovery of investments in the panel industry, with Austrian investor taking over local factories in trouble. The overall rally of the panel market is also witnessed by the big success of Ligna in Hannover last May, which gathered all the leading manufacturers of machinery and equipment for panel production and processing. One week earlier there was Interzum in Cologne, where all major producers of panels and complementary equipment showed their innovations to a huge audience of industry operators from all over the world. 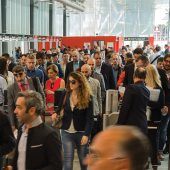 In 2018, Xylexpo in Milan will also focus the attention of industry professionals onto secondary processing and finishing machines. So far, we have talked about the panel market, always referring to raw panel production, i.e. the raw material for the furniture industry, but we have not analyzed the panel coating/lamination business, whether it’s particleboard or MDF. This is a key operation for applications in the furniture industry, and this is where research and development have made even more progress compared to panel production. Production plants have changed with the introduction of continuous presses, while in the melamine paper lamination sector, research and new pressing lines have improved and progressed to achieve maximum production flexibility so as to meet market demands. At the same time, also coating and lacquering plants have developed significantly, with more and more specific solutions to handle the peculiarities of each product. In the next article we will review the Italian panel market and specific news, and then we will focus on the American and Asian regions, to offer a comprehensive overview of the global wood-based panel business.